“Mama Louise” Hudson has been happily feeding folks at the H&H at 807 Forsyth Street in Macon since the late 60’s. Serving up “home cooked” food in a casual, comfortable setting “where everyone knows your name” has been Mama Louise’s specialty for many years. Her regulars wouldn’t dare miss out on her fried chicken, baked ham, collard greens and black-eyed peas. The Allman Brothers Band wouldn’t dream of not visiting Mama Louise while they were at home in Macon. From the beginning Grant’s Lounge was more than just another night club. Its existence made a loud statement about people and the oneness of human beings. Also, it was from this modest establishment that much of what the world now knows as Southern Rock was conceived. The Yankweeds specialize in custom hats. A limited number of Red Dog hats from the “Throw the Dog a Bone” benefit August 13, 2010 remain available for purchase, 50% of the proceeds will go to Red Dog’s medical expenses fund. Lee Roy Parnell is among the elite few who can be identified as a triple threat: an ace guitarist as well as a distinctive singer and hit songwriter. Parnell has garnered the respect of fans and industry veterans alike with his soulful vocals and award-winning slide guitar playing. His music runs the gamut of diversity: blue-eyed soul, Delta blues, road house rock, Southern boogie, Texas swing, and gospel defying conventional classification. He draws from a broad range of music sources and combines them with seamless dexterity. Lee Roy Parnell was our headlining artist for GABBAfest ’03. Thirty years ago four young musicians formed a band out of Warner Robins, Georgia that would become one of Capricorn’s shining stars of that era. Immortalized in the Charlie Daniel’s anthem to Southern Rock, “The South’s Gonna do it Again”, “the train to Grinderswitch is running right on time”. Grinderswitch performed on the Douglass stage as the opening act for GABBAfest ’03. Tim Brooks is a local Macon guitar legend who has performed and attended many past GABBAfests and we were proud to welcome him and the band Breau Jam back for GABBAfest ’03. During Tim’s set, none other than Dickey Betts showed up and sat in! Mark May has been playing guitar and writing songs since he was 5 years old. Since then, this child virtuoso has become one of the most versatile talents working today. Mark was a featured act during GABBAfest ’03. This rocking band from Crown Point, Indiana made their first appearance at GABBAfest ’02. Influenced by the Allman Brothers, Rolling Stones and other classic rock groups this band rocks out like no other young band today. Highway invites you to join them “for a magical experience along a forgotten path that ascends to the peak of excitement, where raw body and soul unite in the euphoric passion of music”. Caroline brings bluesy vocals and a masterful guitar to bear on songs ranging from the poignant to the brash and rollicking, creating an unflinchingly honest, unabashedly sensual brand of folk where blues, country, and rock elements coexist. now leader of the Dickey Betts Band. The Sinners. Marc performed at GABBAfest 2002. Web site of the legendary Alabama musician and producer. Paul now runs a studio in Macon. “The husband and wife team of Ricky Davis (acoustic & electric guitars, dobro, vocals) and Micol Davis (piano, tambourine, vocals) began performing as a duo in 1995. Soon thereafter, drummers, bassists, harmonica players, fiddle players and other friends would sit in. BMT primarily performs as a trio with guitars (acoustic, electric & slide), piano, tambourines, drums & percussion. Ricky & Micol also perform in the original duo format as well. Unique, passionate, inspired and unaffected by musical genres, Blue Mother Tupelo is pure heart and soul. 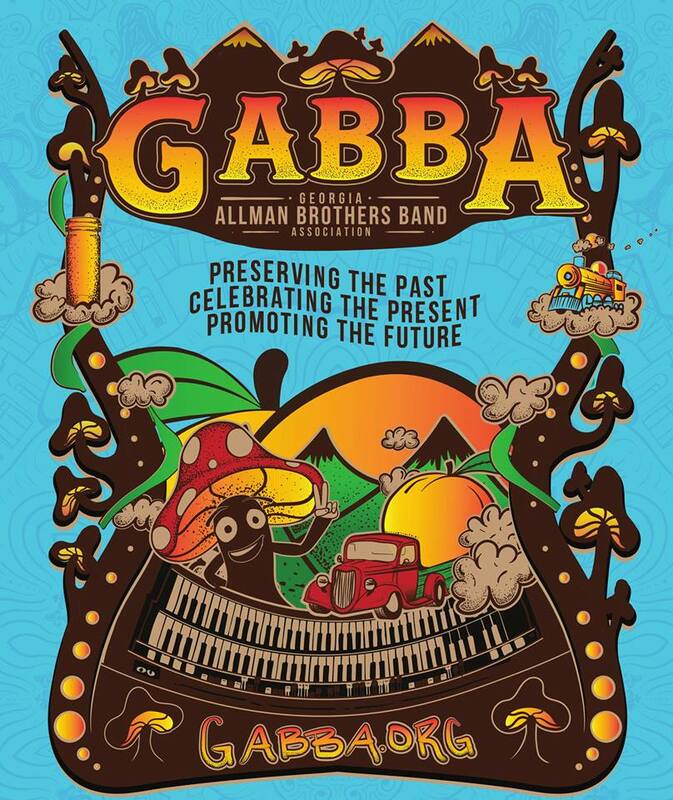 ” BMT played GABBAfest ’97. jamgrrl.com is devoted to promoting the jam scene in Atlanta. It provides a printable monthly music calendar, band and scene-maker photos from recent shows, local news, interviews, and more. A Touch of Glass (ATG) combines traditional craftsmanship, excellence, and an understanding of architecture and instruction to create works of art that are of superior quality in both design and workmanship. Red Dog has been an ABB roadie since the very beginning. The Atlanta Blues Society celebrates and perpetuates the blues as a traditional, evolutionary, and uniquely American art form. We are a non-profit, all-volunteer “force” of blues enthusiasts. Our members are a delightfully diverse group of people–all ages, colors, and creeds–who have fun keeping the blues alive.